Product #3318 | SKU XP-DV-S48 | 0.0 (no ratings yet) Thanks for your rating! The Switronix XP-DV-S48 XP model DV/HDV cable works with Sony DV/HDV camcorders. The XP model cables can be used in association with a Switronix accessory or used solo with a PRO-X series lithium ion battery product. 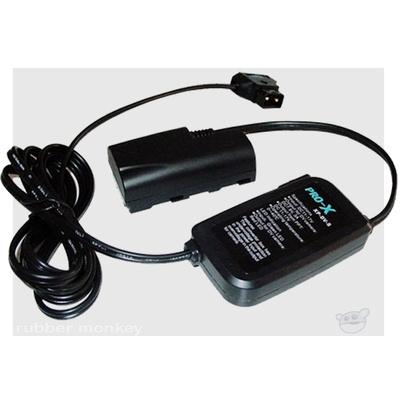 This cable features a regulated 7.4VDC mock battery end for a HDV/DV camcorder with an inline female P-Tap connector for 12-14.4VDC input. This device offers red and green LED indication to display status of battery power.